The netsuke is a toggle. Japanese men used netsuke to suspend various pouches and containers from their sashes by a silk cord. Netsuke had to be small and not too heavy, yet bulky enough to do the job. They needed to be compact with no sharp protruding edges, yet also strong and hardwearing. Above all, they had to have the means for attaching a cord. 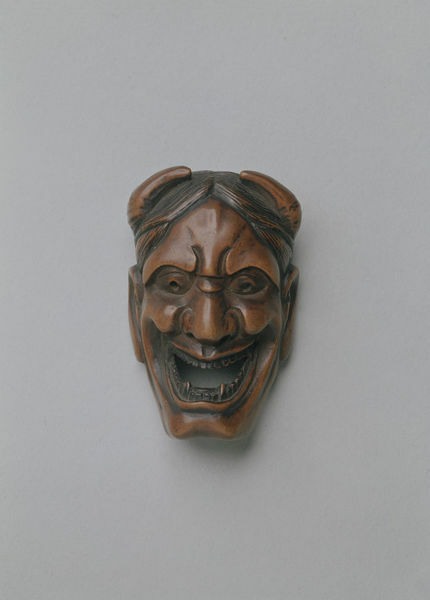 Netsuke were made in a variety of forms, the most widely appreciated being the katabori (shape carving), a three-dimensional carving, such as this one in the form of a female demon. 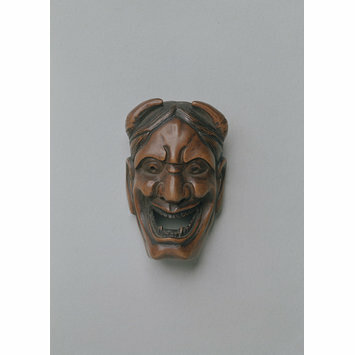 This style of mask would have been used in the play Dojoji and vividly portrays the anger and fury of the witch Kiyohime.